Richard is the Director of EMEA, heading up the Nimble Social CRM operations in Europe, Middle East and Africa. Richard has 20 years of experience in sales, marketing, channel management and customer engagement. As a CRM and ITSM expert he brings a broad level of expertise to the growing area of Social CRM and how to use it to drive business through engagement. 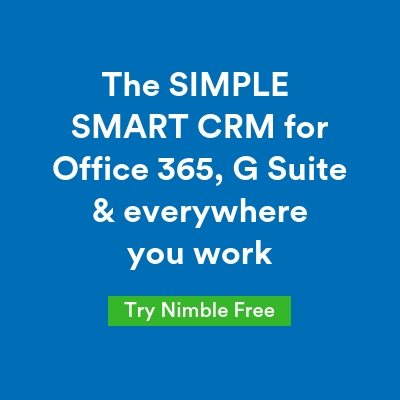 Nimble combines the best of high-end CRM, social media & collaborative tools into one simple and affordable SaaS solution, helping Seriously Connected rescue people from the rat race.